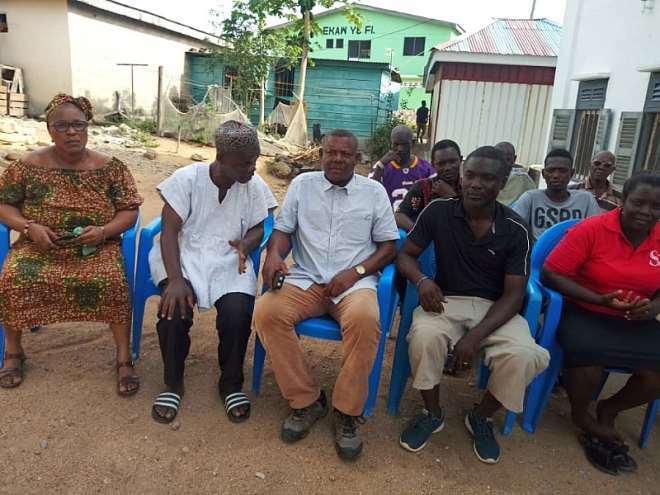 The National Democratic Congress (NDC) Branch Executives of Aboom Methodist Primary 'B' in the Cape Coast South Constituency led by the Branch Chairman, Hon. 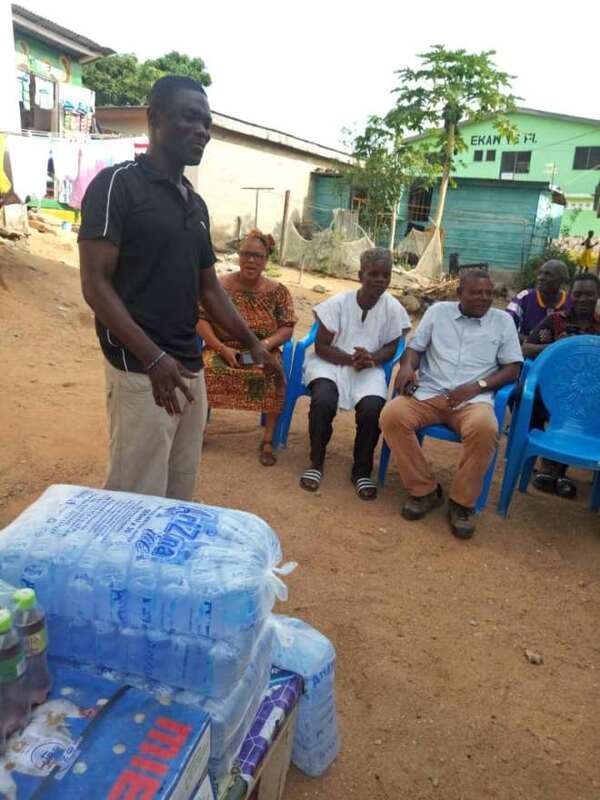 Nana Kweku Boateng Dokyi made a presentation to the widow of the late former Assembly Member for Aboom Wells, Mr. Isaac Benjamin Otoo on Monday, 1st April 2019. The late I. 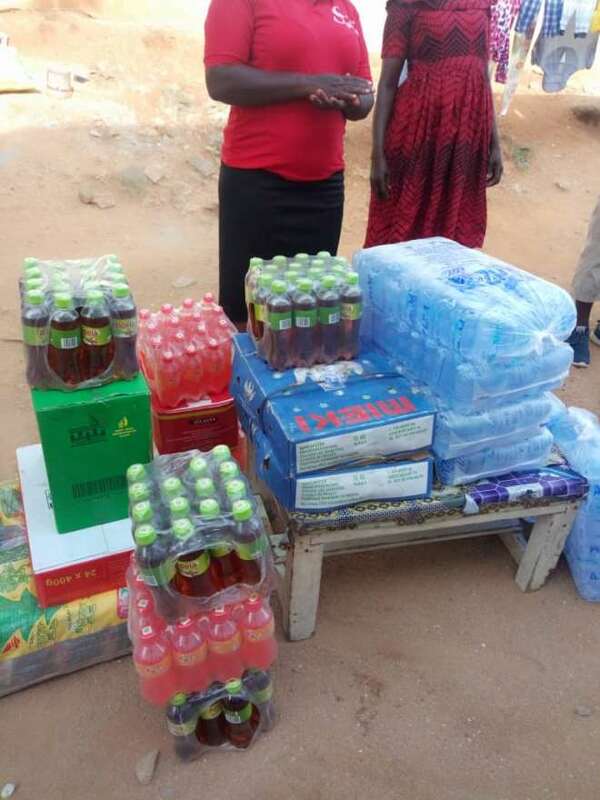 B Otoo was a staunch member of the party and had paid his dues to the party. He was very instrumental in making the party very vibrant in the electoral area. Due to his dedicated service to the party, he made his family an NDC blooded family and the party members feel they have lost a great asset. Some of the members of the branch accompanied the executives to the resident of the late Former Assembly Member whose burial and funeral would be held on Saturday, 6th April 2019. 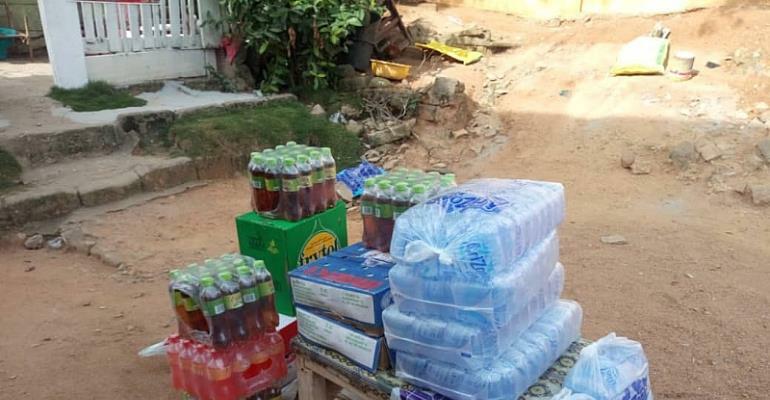 Two bags of rice, two cartons of chicken, one carton of cooking oil, forty bags of sachet water, assorted soft drinks, one box of sardine and one box of tomato paste were presented. 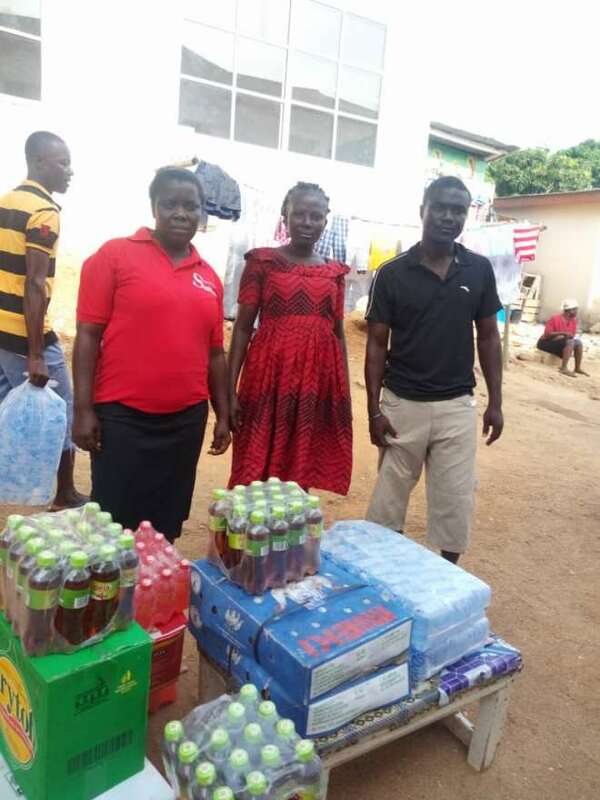 In addition, Five Hundred Ghana Cedis (Gh¢500) was given to the widow to help ease the burden on the widow who is also a member of the party. The presentation was under the sponsorship of Mr. Kwame Akyianu who is a member of the branch. 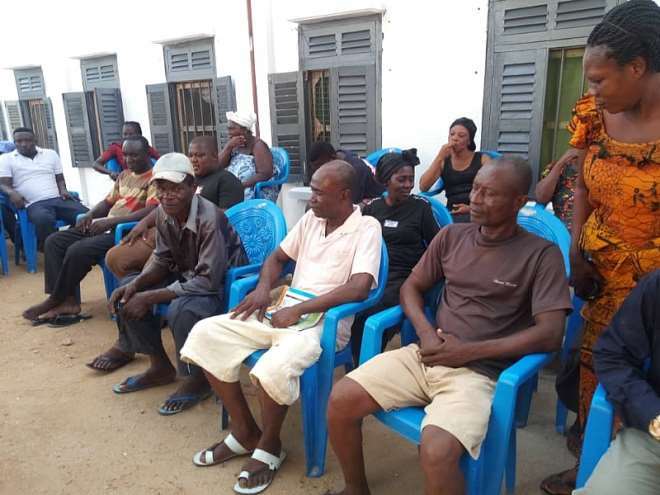 Mr. Akyianu believes that he will give his widow's mite to help the grassroots of his beloved party especially some branches in the Cape Coast South Constituency. 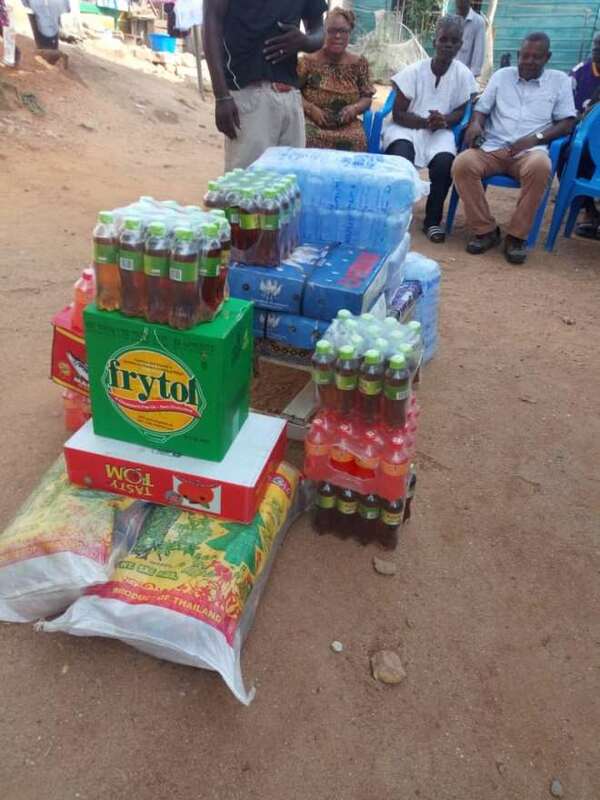 Members are not surprised about this kind gesture of Mr. Akyianu because the name 'Akyianu' is synonymous to NDC in Cape Coast. Mr. Kwame Akyianu is a younger brother of the late Ambassador Samuel Valis Akyianu, Ghana's Former Ambassador to Canada, Former Chief Fire Officer, Former Central Regional Minister and Former Central Regional Chairman of NDC.